An attractive, well balanced and finely proportioned mid 18th century English silver hilted small sword with a Colichemarde blade and hallmarks for London 1761/2. 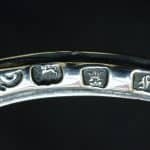 The maker is Thomas Cross (circa 1711-1767), one of the foremost makers of silver hilted swords located in London, and whose work is of the highest English standard. 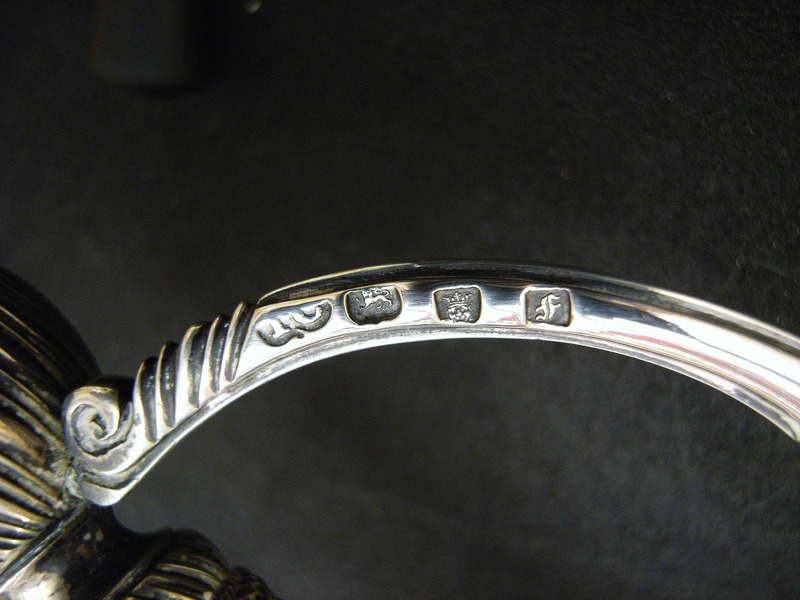 This sword is a rare example of his work and a fine piece of 18th century English silver. Thomas was indentured as a Sword Cutler for eight years from 10th June 1728 and was sworn free of the Cutler’s Company by servitude on 13th October 1737. In 1743 he is recorded as working in Shoe Lane. Thomas was elected to the position of Under Warden of the Cutlers’ Company in 1754, Upper Warden in 1755, and appointed a “Master” in 1756. Thomas died at the age of 56 and was buried at St Bride’s Church, Fleet Street, on 5th July 1767. The hilt consists of pas d’ane rings, knucklebow and quillons front and back, plus a shell guard with attractive ribbed and moulded borders. The hilt is in fine form without noticeable dents, bangs or bruises. Without losses or repairs the guard has maintained its original pleasing outlines. 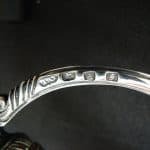 The grip consists of silver wire (alternating flat and counter-twisted spiral) binding applied over a baluster shaped wooden core, with shaped and engraved silver collars mounted top and bottom. 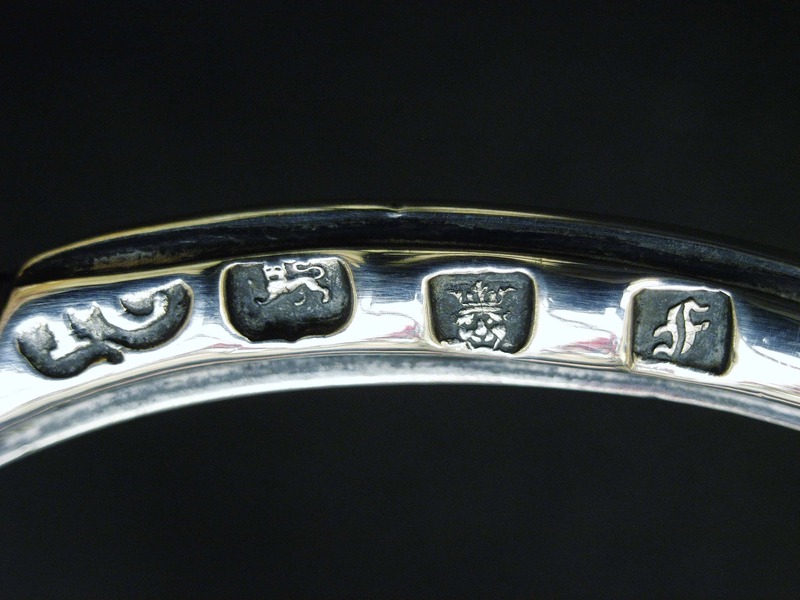 The hallmarks, maker and date marks are clearly stamped on one side of the knuckle bow near the pommel. The tapering, hollow ground triangular section Colichemarde blade is 31.75 inches (80 cm) long and overall the sword is just over 38.5 inches (just under 98 cm). The blade is lightly engraved at the forte with designs of foliage and scrolls. For similar swords by London silver smiths see “London Silver-hilted Swords” by Leslie Southwick, Royal Armouries, 2001, and for further information on the working life of Thomas Cross specifically, see pages 81 and 82.